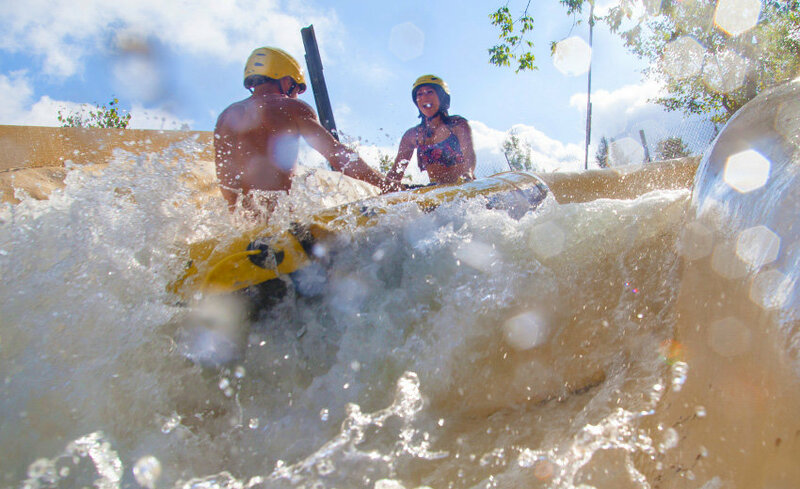 Mont Saint-Sauveur Water Park is located in a unique mountain setting and is the only water park in Quebec to be perfectly integrated into its natural surroundings. We have been contributing to their strong and effective brand positioning since 2009, applying key elements that strictly follow the brand guidelines and standards we developed for this client. Whether it’s for television advertising, brochures and various flyers, on-site signage, web banners or email, we ensure unerring consistency and rigor. 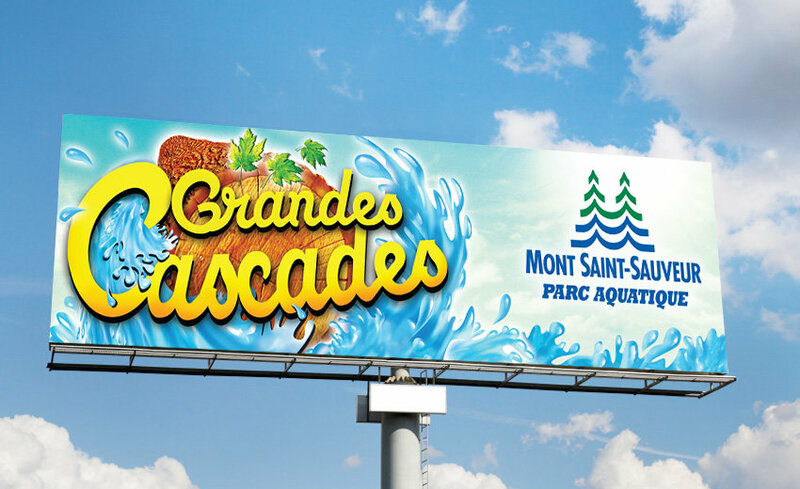 The highway sign campaign we developed came out of the idea that each water park slide is a world in and of itself. We revisited the illustrated logo for each one, carefully recreating the mood that attraction goers experience. These colourfully illustrated signs “splash” motorists with the water park’s festive and fun ambiance, to create a strong desire to get out of the traffic and go play in the water instead.